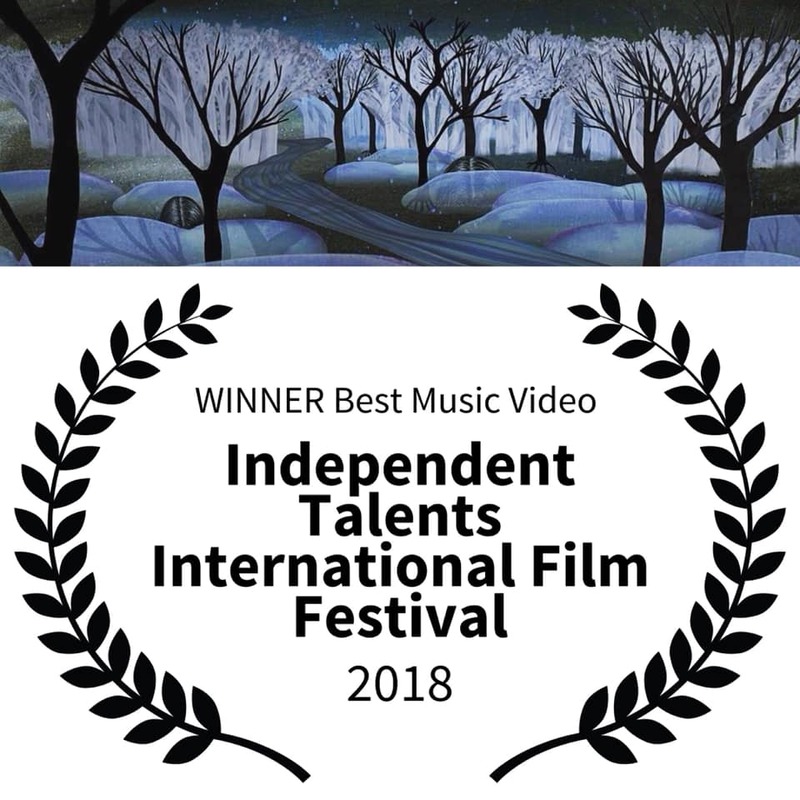 My animation When the Ice Horn Blows, with music by Terje Isungset, will be shown in the category World Cinema Short Animation at the 11th International Children’s Film Festival in Lucknow, India ! 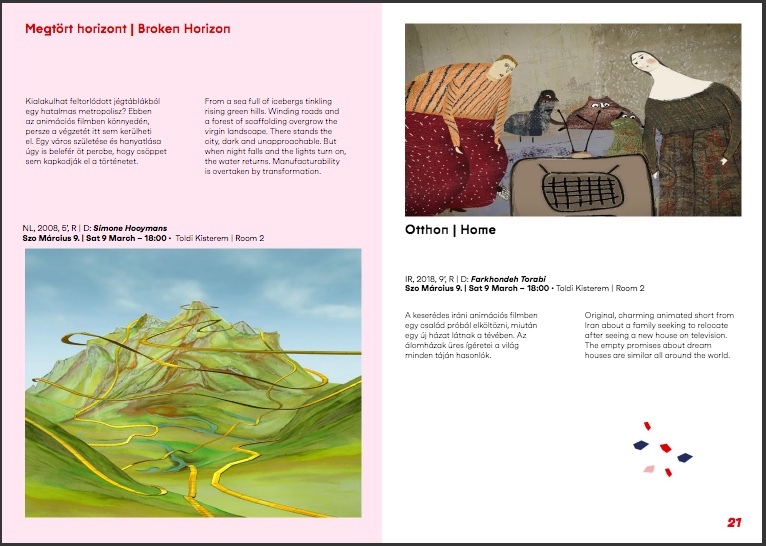 From 7 until 10 th March my animation Broken Horizon will be shown during the Budapest Achitecture Film Days ! 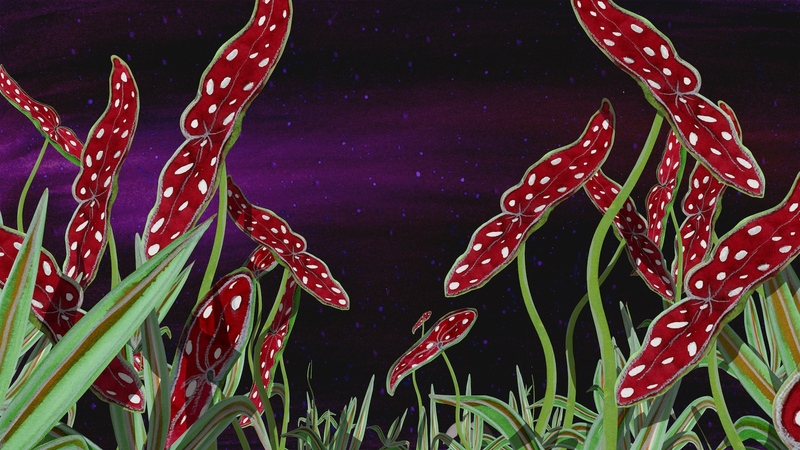 My animation When the Icehorn Blows will be shown at Gallery Ejecta Projects, in Pennsylvania ! 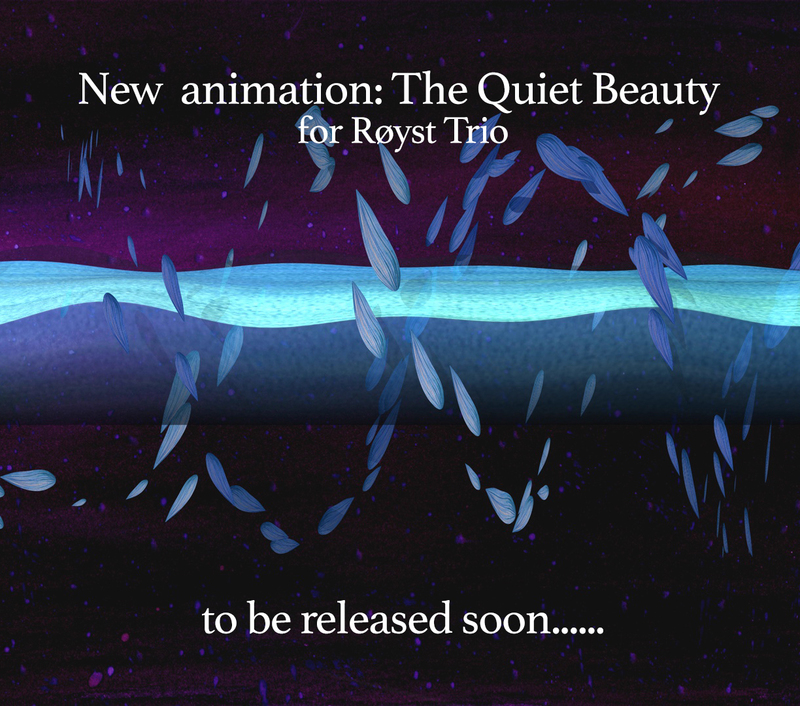 The Quiet Beauty semi-finalist ! 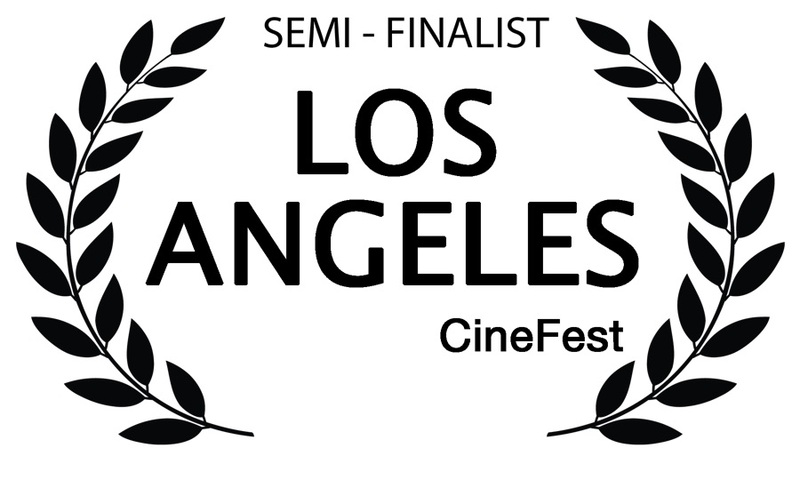 The animation The Quiet Beauty made it to semi finalist at the online filmfestival Cinefest Los Angeles ! 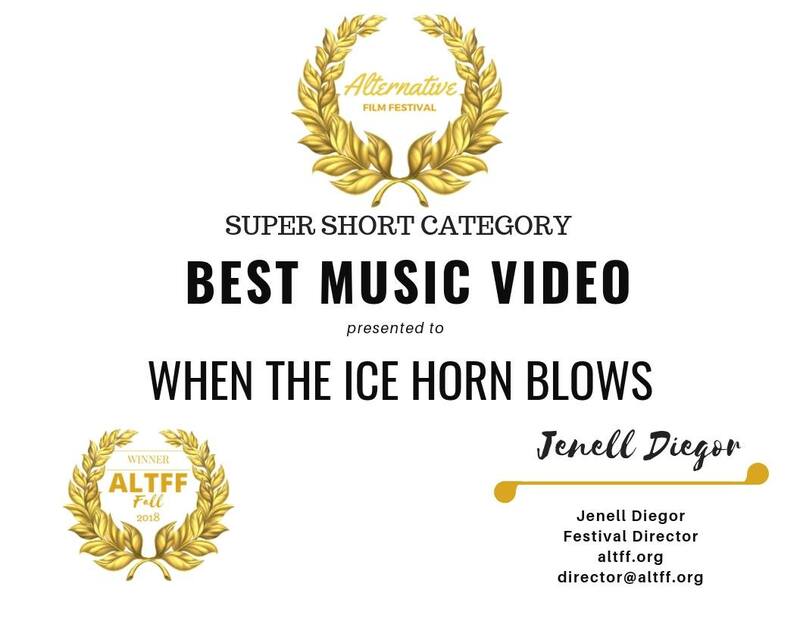 My music video When the Ice horn blows, for Terje Isungset ´s song Arctic Ice Music, won as best music video at the Alternative Film festival in Toronto Canada ! 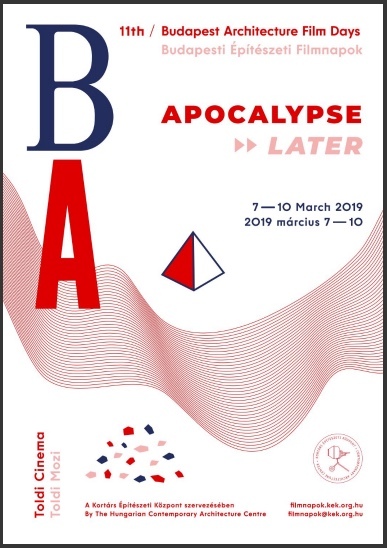 Meet Me There to Bejing! 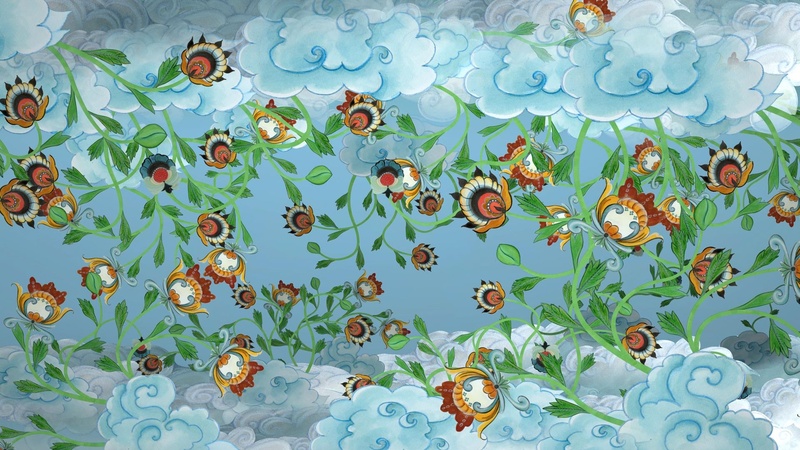 After carefully review all the films submitted this year, we are delighted to invite your animation Meet Me There – Meet Me Then, to the official program of Beijing International Short Film Festival (BISFF) 2018. With Icemusic of Terje Isungset! 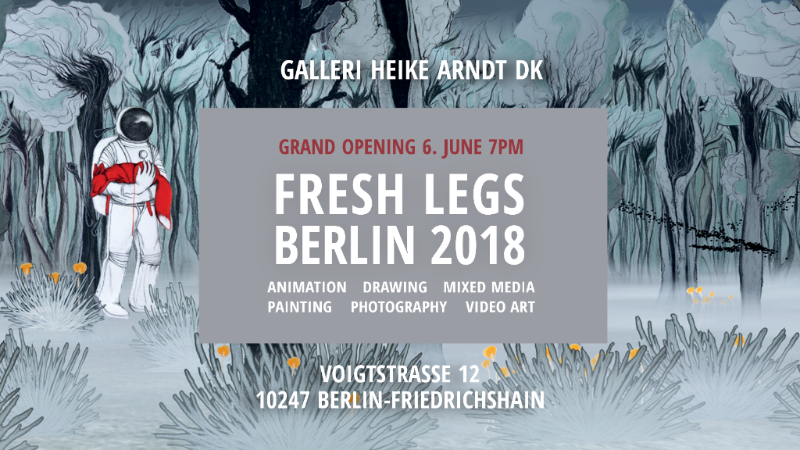 I am proud to tell you that I am selected for the group exhibition Fresh Legs at Galleri Heike Arndt in Berlin. Opening at 6th June 2018. 7 pm. 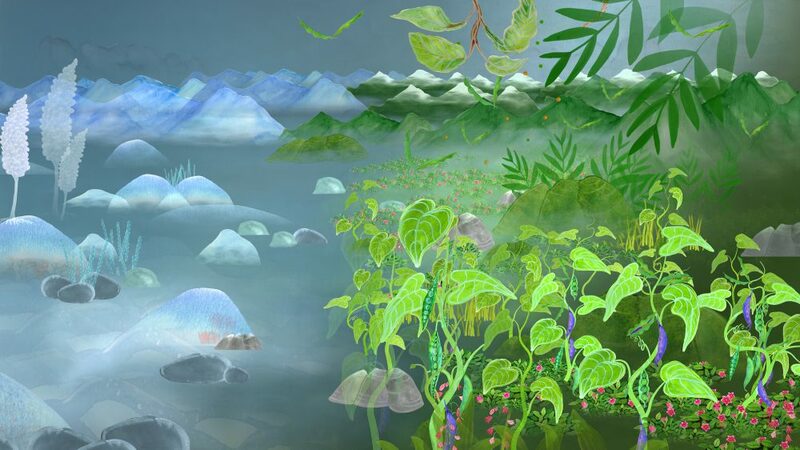 The 2018 edition of the annual Fresh Legs open call exhibition proudly presents 22 emerging international artists with their unique styles, techniques and materials. 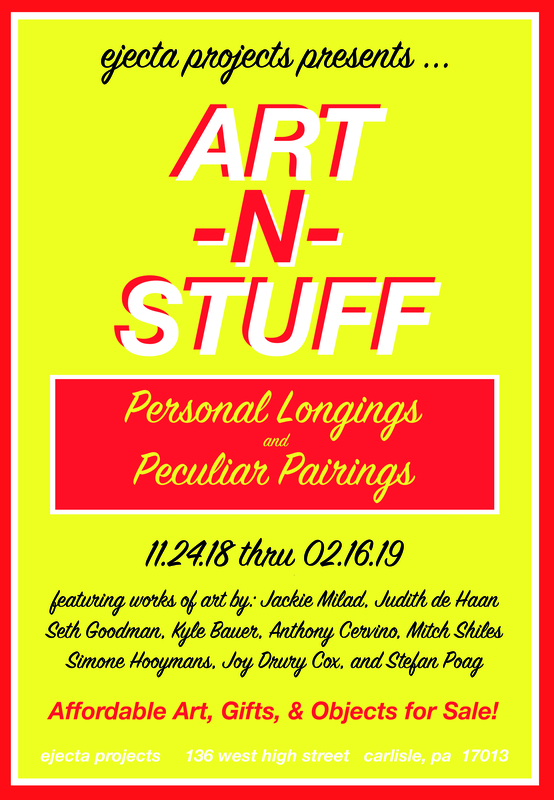 The end result is an exciting group show with figurative and abstract artworks and a large variety of techniques for the viewer to discover.